We are proud to be sponsoring the Birmingham Post Business Awards, People Development category. This is an area very close to our heart. "City agency Bareface Media is a sponsor of the Birmingham Post Business Awards. Here, the firm explains why it is getting behind the People Development Award. What makes a great city? By 2030, five billion people - 60 per cent of the world's population - will live in cities. It's easy to talk about their architecture, infrastructure, jobs, leisure and entertainment. Cities have always been a melting pot of ideas, cultures, backgrounds and opportunities. Birmingham has plenty of this and so much more. Birmingham is a city with a history that is steeped in risk taking, entrepreneurship, inventiveness and, above all else, sheer hard work. How often we hear these values in association with the achievements of the past and its industrial heritage but these values ring true today as much as ever before. Birmingham has a spring in its step and that is because of the people who live and work in it. Their passion, determination and ability to get things done means we are a city that is going places. Everywhere we turn, investment is pouring into the city, from new global air routes, shiny new train stations, hotels, office blocks, apartments, restaurants and enough shops to please the biggest spenders. But why do they all want to be here? Because of us, the people of Birmingham. And what makes us Brummies special? We are people that don't talk about it, we just get on and do it. We work hard, innovate, explore, invest - we are creative and, above all else, we are friendly. After all, business is all about relationships so who better to do business with than a friendly, hard-working Brummie? An added bonus is that the rest of the world says our accent is the most beautiful in Britain and that is a proven fact. So really, it's people that make a great city. 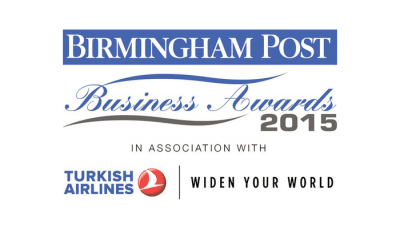 For that reason, Bareface Media, a Birmingham-based advertising agency, is proud to sponsor the People Development category at the 2015 Birmingham Post Business Awards in association with Turkish Airlines. "We work in an industry that hungers for fresh talent, new ideas and creative ways of thinking," says Simon Morris, managing director of Bareface Media. He goes on to say: "Birmingham is a city brimming with this very talent, it's up to us as companies to make sure we keep it here." The People Development Award recognises those companies and individuals who encourage and make a significant contribution to training, development and recruitment. These are all areas essential to retaining, developing and nurturing the talent our city needs to compete globally. "Being able to work with people who can operate internationally is essential for us as a company. Understanding cultures and nuances is an important aspect of our work," says Tom West, account director at Bareface Media. We have learned that buildings, planes, shiny train stations and shops are lovely to have but the most important thing in any great city is its people. Birmingham is a great city with great people so we have all the right ingredients to be a real success."